Hey, I’m a Mormon lady and I don’t drink un-powdered alcohol in any form or fashion. But as a fire-breathing, Free Market Capitalist, limited-government Reagan Republican, I don’t believe it’s the role of government to ban an innovative variation of a legal product because of what “might happen.” So, as submitted by Mark Phillips, the creator of “Palcohol” Powdered Alcohol, here is the straight skinny about this new product. 1. Since the product isn’t even on the market yet, there is not one shred of evidence that it will be used or abused any differently than liquid alcohol. Every concern we’ve heard is inaccurate speculation and that is no basis to outlaw a product. The two federal agencies that have jurisdiction over alcohol, the FDA and the TTB, have reviewed Palcohol and tested it and found no problems with allowing it to be legal. Why does the state think it shouldn’t be approved when you have had no access to it and no first hand knowledge of the product? Don’t make decisions based on speculation. 2. Practically, we know from experience that Prohibition doesn’t work. Even more pertinent to Colorado, take marijuana. When marijuana was banned, did people stop acquiring it? No. Banning a product will create a black market which means the state loses control of the distribution. And with regards to powdered alcohol, then underage drinkers will have easier access to it. If you don’t want underage drinkers to get a hold of powdered alcohol, you need to allow it to be sold and regulate it just like liquid alcohol. Alcohol is legal in your state and so why is alcohol in powder form any different? Learning from the marijuana issue, by banning powderedalcohol, the state will spend millions of dollars trying to enforce the ban and it’s unlikely it will deter the use. The smarter financial decision would be to allow it be sold and realize tax revenue for the state just as liquid alcohol provides. 3. Palcohol has so many positive uses in medicine, energy, the military, industry, recreation, etc. (detailed on our website, www.Palcohol.com). The role of the government is not to play nanny. 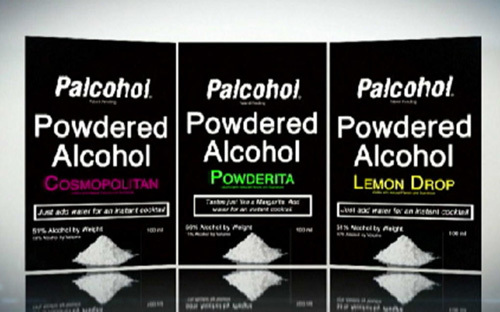 There is a tremendous demand for powdered alcohol from individuals and businesses to use it responsibly and legally. No matter how well-intentioned, the legislature exists to protect our rights to live how we choose, not to use coercive power to force their values on us. Don’t deny the citizens and businesses the right to have access to this revolutionary new product. 4. I understand there are concerns and I’d like to address those because they are totally unfounded. a. People will snort it and get drunk. Not true. It’s painful to snort due to the alcohol. Second, it’s impractical. It takes approximately 60 minutes to snort the equivalent of one shot of vodka. Why would anyone do that when they can do a shot of liquid vodka in two seconds? b. Powdered alcohol will make it easier to sneak into venues. Not true. A package of Palcohol is 4″ x 6″….almost five times bigger than a 50ml bottle of liquid alcohol so Palcohol is much harder to conceal. Alcohol in any format is subject to abuse if someone is determined to do so. Nothing prevents a criminal bent on violating the law from pouring liquid alcohol from its original package into a water bottle, a lunchbox thermos, a hip flask, etc. for surreptitious consumption. c. It will be easier to spike a drink. Not true. Palcohol does not dissolve instantly in liquid and would take over a minute of stirring to dissolve the equivalent of one shot ofalcohol into a drink. While adding a shot of liquid alcohol dissolves immediately. d. Kids will get a hold of it easier. Not true. Palcohol should be sold wherever liquid alcohol is sold and the same rules apply, you must be 21 years or older to buy it. However, if you ban it, underage drinkers will have much easier access to it. 4. Deny the citizens and businesses access to a revolutionary new product that has so many positive benefits. Because of those reasons, powdered alcohol should be legal, regulated and taxed just like liquid alcohol.